Africa is the oldest continent inhabited by man. History records civilization started in Africa. It is also home to some of the most visited holiday destinations. The beauty in Africa range from crystal clear beaches with white sands, great lakes, amazing plant life and incredible wildlife to mountains with terrific views. The highest number of tourists visit sub-Saharan Africa. North Africa sees a lesser number because of geo-political conflicts and insecurity. Tourists usually visit Africa for leisure. This in turn contributes to the GDP by providing employment opportunities in travel agencies, hotels, transportation services, leisure industries, airlines, and restaurants. Majority of the visitors come from Europe, North America, and Asia. You can find more in eDreams Instagram profile about visiting Africa and what is on offer in different destinations. Morocco. This is a beautiful African country in the outskirts of Europe. Morocco is rich in North African culture. One of the attractions is the Djemma el Fna in Marrakech. It is a hotspot in the country. It opens around 10 a.m. with tattoo artists, snake charmers, street theatres, and at evening, chefs, food masters, and restaurants serve some of the best delicacies both local and foreign. There is also the Berber tour. This is where you experience Moroccan nomadic life firsthand. The trip can range from a single day to a 16-day tour. The UNESCO World Heritage Site, Ait Benhaddou, showcases traditional pre-Saharan life. The houses are built within the walls and in addition, they are reinforced with corner towers. This is an example of how ancient societies operated before the advent of skyscrapers. Lastly, it will be a good idea to attend the terrific Fes Festival. It is the gathering of African musicians to celebrate the diversity and beauty of the cultures in the continent. Zanzibar. Pemba Island is about 100 km outside Zanzibar. It is filled with amazing coral reefs, lagoons, mangroves, and fish. It is the perfect setting for divers and beach lovers. Because of its green natural vegetation, it is nicknamed ”the Green Island”. This island is only a 30-minutes flight from Stone Town airport, Zanzibar. It has been, historically, a major spice producer and it is still so today. However, the economy depends more on agriculture than tourism. It is less congested than Zanzibar making it a haven for those who prefer holidays in a quiet and rural setting. This is the best location for a real island holiday. South Africa. The perfect beach summer holiday in South Africa is between September and February. In the province of KwaZulu Natal, you can enjoy all year round summer. The Indian ocean is also close to many South African cities. The KwaZulu Natal province is home to two UNESCO World Heritage Sites. The iSimangaliso Wetlands Park in St. Lucia with over 500 bird species and the Ukahlamba Drakensberg Park which contains South Africa’s highest mountain range in the Wild Coast. Kenya. 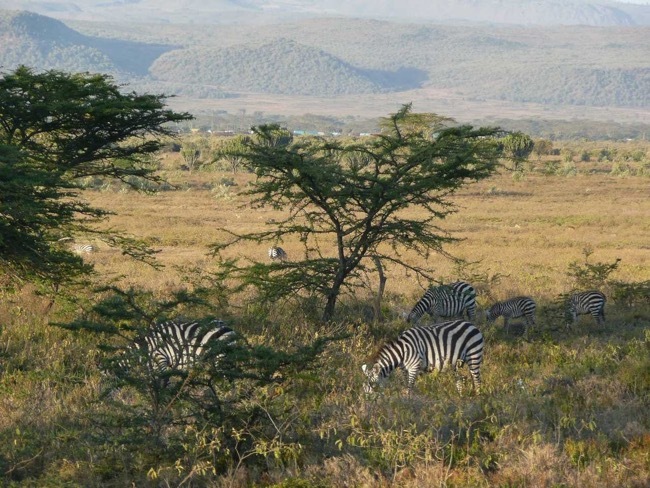 An East African country with abundance of wildlife, fauna, flora, mountains, and islands. It is perfect for family holidays and the best time is around October to March. The island of Lamu offers spectacular beaches, narrow streets with no vehicles, and awesome rolling dunes.